I like the ending, liked how Harriet and Nels kept talking about the good each of them had and the hug they share in the end is so sweet! 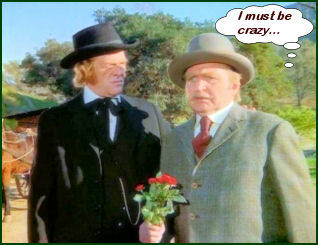 Any episode of Nels and Harriet's marriage is always good!!!!! I like this episode - but, then again, I LOVE season one, anyway. My niece doesn't like to watch this one, though, because she doesn't like to see the arguing. It scares her. This episode is hilarious! 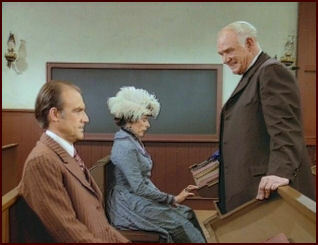 The eggs, Mr. Hanson trying to court Harriet - it's all so funny I laugh just thinking about it! LOL. 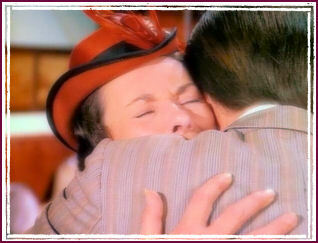 I'm glad Nels and Harriet come together in the end - Charles and Caroline's plan works. They may have been a slightly dysfunctional family, but, well, they functioned well together. If that makes sense, LOL. I love the end too - how they're beginning to argue again and Caroline just smiles and leaves quietly. I love the end too - how they're beginning to argue again and Caroline just smiles and leaves quietly. And moves the eggs!! :Hahaha: I love the end, too. :Hahaha: See what smoking will do to you, Willie! That's hilarious, Gino. This is one of my all time favorite episodes. I love Nels and Harriet and I loved the egg scene. a funny episode. Nels and Harriet seemed to argue often but this was one of their larger, and funnier, arguments! I thought the dog that followed Nels around was a funny addition to the show. this is also the episode where Nellie tells Mary that they are best friends. when did Mary and Nellie ever get along? or, as I should be saying, when did Nellie ever get along with anyone? :Hahaha: That pretty well sums up Nellie's personality: "You've been my best friend because I SAID SO . . . that's why!". She didn't say that, of course - but she decrees it, and so it must be. I know the subject of this isnt funny a family having problems etc but I laughed quite a bit during this one. The background music was wonderful and the dog so suited the occasion . the Ingalls family is usually the family to come to the rescue and help solve problems! I liked watching this episode. 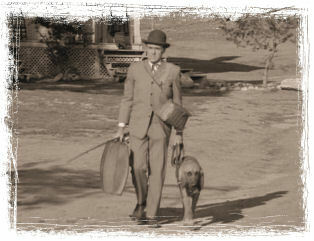 I thought the dog that followed Nels around throughout the episode was a nice touch. i found it kind of funny when Nellie called Mary her best friend, epsecially since Nellie was not that nice to Mary in some of the episodes earlier in the season. I have to say that I was happy when Nels and Harriet made up at the end and were nice to each other because I couldn't imagine seasons 2 through 9 without either of them! This is a very good esp!.....Very funny one..Never could understand what nels seen in miss olsen...I guess he must see something we don't see anway's it's nice that they made up in the end!! The egg part is so funny!! And have any of you noticed you seen Doc carrying Laura on his back wearing a hat? After Mr and Mrs Oleson come out of the church after their argument in church? Yay! Nels' sarcastic comments have begun! "And a ten, and a ten, and a ten." I love it when they both go to open the store at the same time. Nels: You saw his papers. Harriet: All over the floor. Poor Lars! For once Hiram had a bad, bad idea! I noticed Doc carrying Laura, who was wearing his hat. I love this episode. For one thing, it involves so many different characters and not just the Ingalls family.....even Mr. Hanson and Doc Baker are funny in this one. And I like that we see Mrs. Oleson does have a soft spot. She genuinely seemed touched that Caroline was trying to help her (when Caroline offered to take Willie and Nellie for a day) and also that Caroline would give her that thing she sewed. It makes me feel like there is a lot more to Harriet than meets the eye. I think maybe she has some underlying issues that make her mean on many occasions. It seems like she has a need to put up a front of being proud and even aloof from others. Maybe she has issues with getting too close to people relationally. Anyway, this one is both funny and touching, and I really enjoyed it. Yes. These are exactly my thoughts. For me, Harriet ACTS mean but she is NOT really mean. For some reason we don't know, she needed to appear as a mean, pityless woman before the eyes of other people. But her inner being had lovely sides. Gino, funny pic of Willie. a funny episode. 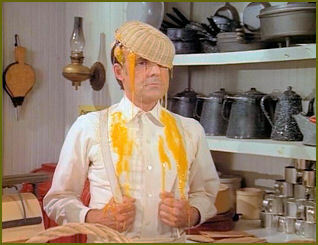 So funny, when Harriet dumps eggs all over Nels. Caroline is telling Charles what happen. Charles just laughing. I would, have laugh too. Yes, this is one of those great episodes where you Harriet as someone who does have a heart under all that snobiness. I love how her and Nels got back together. I also liked how you saw how divorce would affect Nellie and Willie. Lars courting Harriet is a hoot! Yes! I uses to laugh out loud every time I see him carrying his flowers with a scared face that tells us: "I'd rather die than court this lady!"